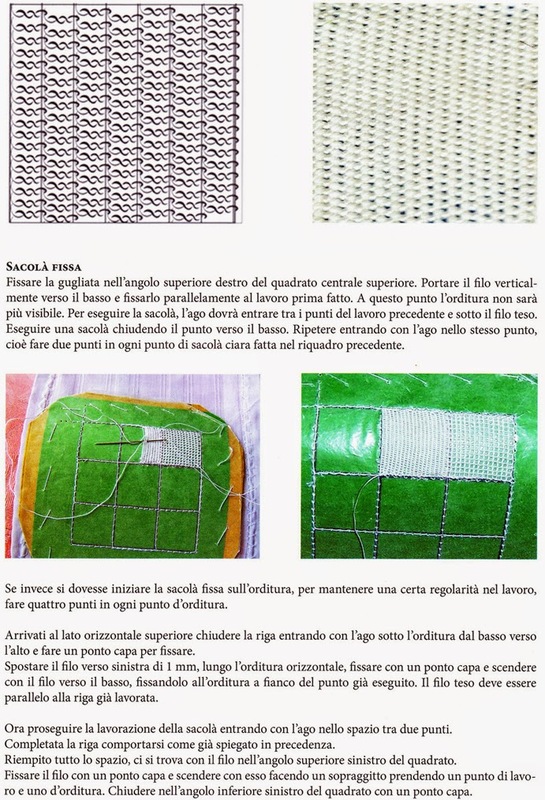 One day back in the spring of 2011 I received an email from a Canadian reader who was looking for someone to teach her travel group an Italian needlework technique while they were on holiday in Italy. They planned to go in the fall of 2012, rent a place to stay and wanted a teacher who spoke English to come and teach them. I suggested a few names and sent a few emails but the reader had some medical problems which ended up preventing her from making the trip as planned and I didn't think much more about it. Then in the spring of 2013 the same reader contacted me again saying she was all healed and was trying again to organize the trip she had been planning before. 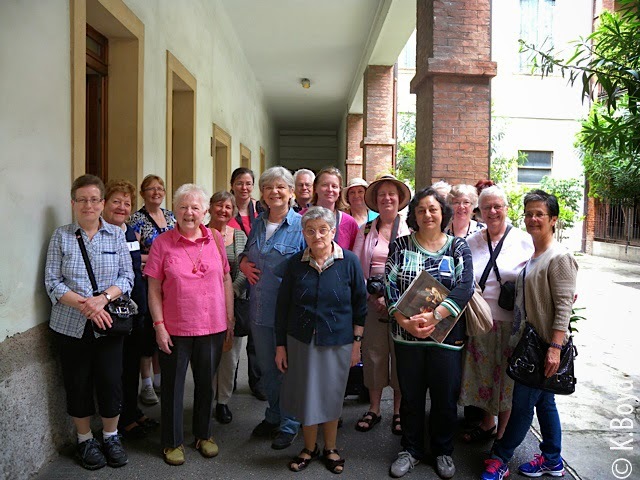 Her group were stitchers of varying levels of experience and they liked to travel to different countries and learn a local needlework technique while there. They had already travelled to places like Ireland, Scotland, England and France. Villa Saraceno in Finale di Agugliaro where the ladies stayed while in Italy. 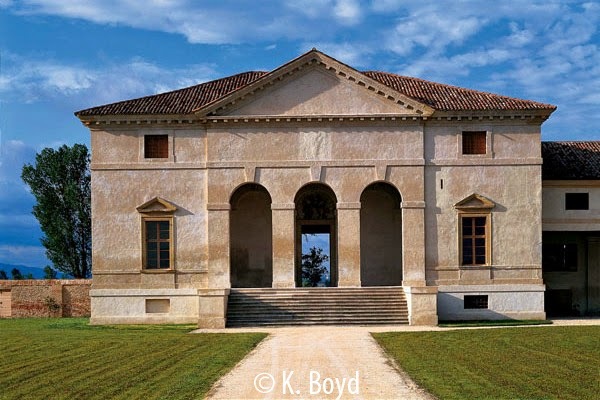 They had rented the Villa Saraceno near Verona and this put me in mind of Anna Castagnetti who I have mentioned a few times here. The trip was planned for the spring of 2014. I'm delighted to say that Anna was available and she put together an introductory class on the cutwork part of Punto Antico for the ladies. Anna also took the group to the Don Mazza museum in Verona where they were delighted with the fantastic needlework collection there. I received equally enthusiastic emails afterwards from both the reader and Anna about the whole experience. It seems it was a marvellous time for all involved and I'm very happy to have played my part in it! Many thanks to the ladies for sharing their experiences with us! Of all the needle laces, those from Venice and Burano are certainly the most complex, but they are also the most versatile because the limitations imposed by the design are removed. This publication contains a how-to section of the stitches to start you off accompanied by instructions, photographs and very clear diagrams. You can take a look at a few pages here. Exciting news for those who wish to delve into the world of Venetian Needle Lace! Ombretta Panese and Marialuisa Severi have been hard at work creating this book. 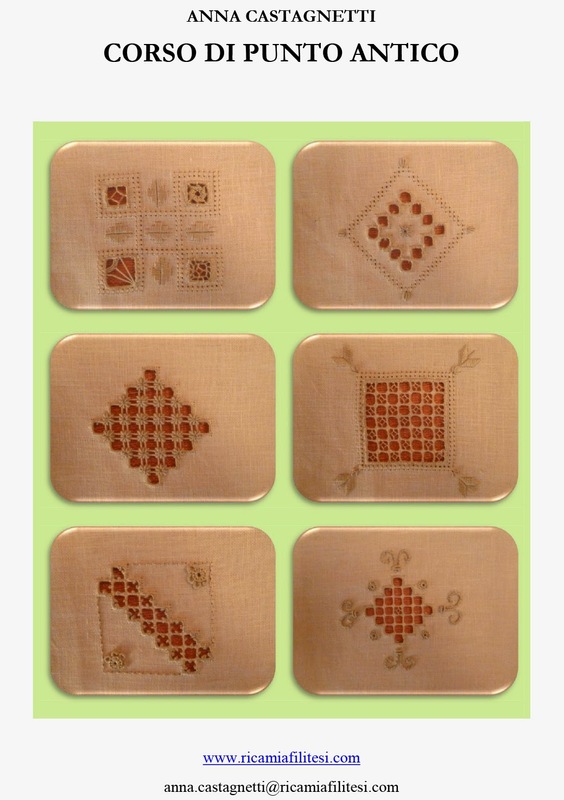 We have tried to give clear and simple instructions on some stitches, which are supported by photographs and designs, so as to introduce the manufacture of needle lace to those who have the intention to learn. At the end we have included designs of varying degrees of difficulty so you can experiment with what you have learned. 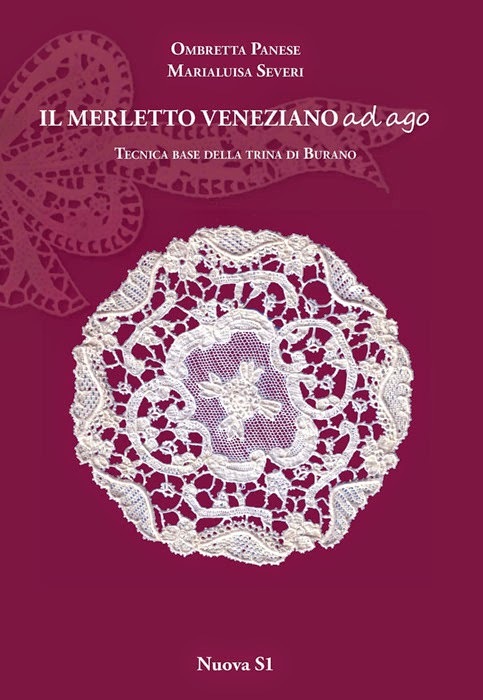 Marialuisa Severi is the President of the cultural Associazione "Il Merletto Veneziano" which was formed in 2005 with the aim to keep alive, enhance and promote the ancient art of Burano needle lace and Pellestrina bobbin lace. Both techniques are traditionally rooted in the island territory of Venice. You can see some pictures of their work here. Ombretta Panese is a lacemaker from Mestre who has been awarded the title: Expert Needle Lace Maker achieved after two courses of 300 hours each, at the Scuola Professionale della Provincia di Venezia. Together with some of her classmates from these courses, she was involved in the creation of the Associazione "Il Merletto Veneziano". She does some beautiful work, check out her blog. My copy is in the mail somewhere between here and Italy but I couldn't wait for it to get here before telling you about this book which you can get directly from the publisher: NuovaS1 (send them an email and tell them you'd like to use PayPal for those outside of Europe). Lacis distributes some NuovaS1 books in the US, if you want to see this one brought in, you may have to write to them and request it. Let me know what you think in the comments below if you do get this book which I understand may be the first in a series.